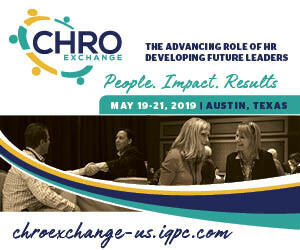 CHRO Exchange » Featured Downloads! At the 2018 November CHRO Exchange, HR leaders from the world's largest companies gathered for an exclusive networking event tailored around "Embracing the Speed of Change: Converting Disruption into HR's Competitive Advantage". In this post-event report, you'll get a first hand look into speaker interviews, attendee profile data, list of attending organizations and much more! Fill out the form below to enjoy the read.